Many readers know that I do large scale field recording sessions of weapons. When I do, I use InstaSnakes that will allow me to place many microphones in various close, medium, and long distances. ETSLan.com, maker of the quality snake boxes sent me this new item. 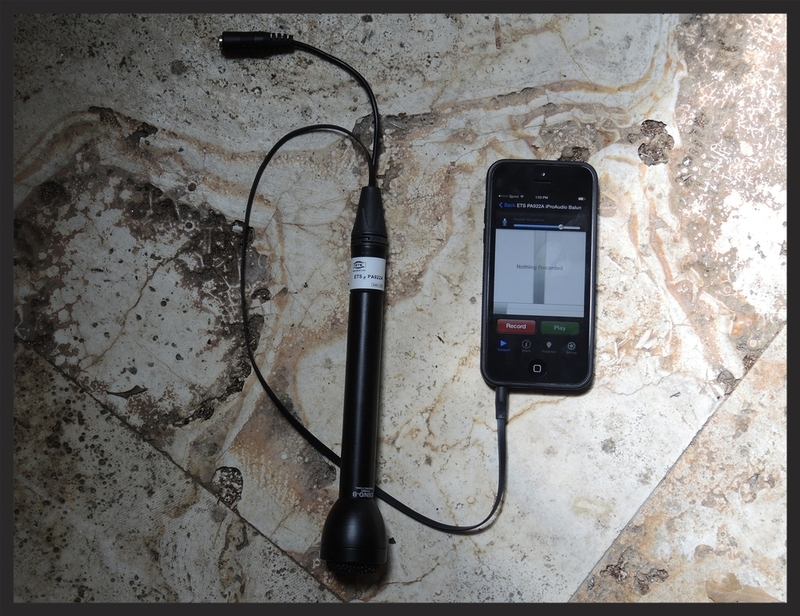 It is an easy way to use a dynamic handheld mic with your smartphone. Say you wanted to record an interview but couldn't carry very much for that day. Well, this iPro Audio Balun (part number PA922A) is an excellent adapter that will allow you to connect a small microphone to. Well done, ETSLan.com! 1st item starting from the left is what you use to plug into your iPhone or Android smartphone's headphone jack (3.5mm or 1/8"). 2nd item is where you would plug your headphones into (to monitor & playback your recordings). 3rd item is an audio XLR connector (to plug your dynamic microphone into). No, this adapter can not power condenser mics. Starting on the left is the iPro Audio Balun, then a very small EV 635 handheld dynamic mic, and an iPhone running a good recording app by Rode (Rode Rec). This combination with your earbuds is extremely portable. The following recording samples have not been processed. They were all recorded in 16 Bit, 48 kHz, Mono with the small EV 635 handheld dynamic microphone.